Prof Jjuuko will be remembered for his brilliant philosophical comments that shaped many media practitioners and scholars. Courtesy photo. Prof Frederick Jjuuko a renown Makerere University law professor and media law scholar, has retired. 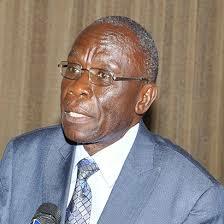 Prof. Jjuuko joined Makerere University in 1976 and was Dean of Law from 1988 to 1994. He has also been Head of the Department of Commercial Law and editor of the East African Journal of Peace and Human Rights. He has been instrumental in the reform of legal education in Uganda. He is also an Advocate in the Courts of Judicature in Uganda. His areas of teaching and research interest include human rights, the law of torts, public interest matters, constitutional law, commercial law, jurisprudence and media law. He has written extensively on these topics. Among his revered works include the book; The 4th estate, media freedom and rights in Uganda that reviews the status of the law and regulations on media rights in Uganda. Sam Kazibwe, a former student of Prof Jjuuko, who now works with Central Broadcasting Service (CBS), said Prof Jjuuko espoused what a modern academic should possess.